If you have time to invest, go ahead and do that – by all means! 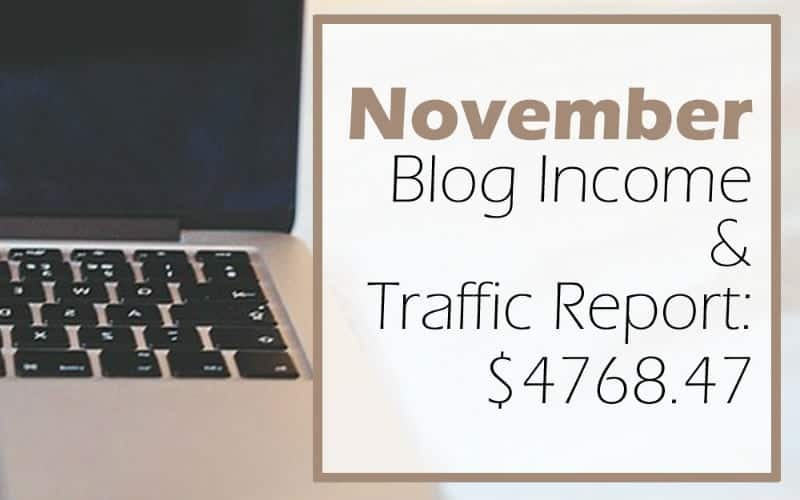 I make over $5000/month blogging – but it took me 9 months of hard work to get here. 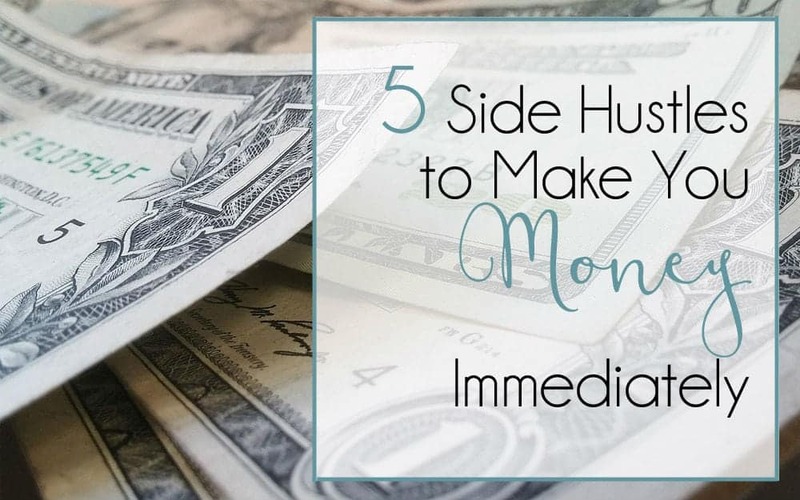 Most people looking for “side hustles” are probably looking to make some money soon (today or at least this month… you know, bills and stuff). So for that reason, blogging is not on my “make money fast” list. But I have some other “side hustles” that make pretty good money QUICKLY. You’ll also notice something else missing from this list… recommendations to join heaps of pay-per-search or pay-per-click or pay-per-survey websites. There’s a reason most “side hustle” lists preface those recommendations with “you won’t get rich doing this but…” It’s because they are not a way to make substantial income quickly! It’s one thing if you love doing that stuff, or want your voice heard, another if you’re trying to make some REAL money, real fast. 1 ) House Sit / Pet sit. People going on vacation who need someone to look after their homes (and pets) will pay to have you do this. Sometimes my husband and I house sit for up to a couple months at a time. Yes, it can feel inconvenient to be relocated, but there’s also lots of times when it feels inconvenient to go work. You do what you gotta do because you gotta do it. We especially love house sitting to make money immediately because you can work your full time job while you do it. (As long as you’re house sitting in a location near enough to your work – which is what I’d recommend.) You can put out an add that says you’re available to house sit and what you’ll be charging. Or just put it up on your Facebook wall if you only want to work for people you know! Jessica from TheSellingFamily.com was able to take her love of finding deals and turn it into a 6-figure side hustle in just 1 year (soooo a couple hundred or more in less than a month is NOT an unreasonable expectation!) You can grab a free 7 day email course right here and she will explain everything you need to know about how it all works and help you decide if it’s the right choice for you. I must have applied to 10 different mystery shopping companies and was insanely disappointed in almost all of them. There are ALOT of scams out there. I found ONE though, that has made me real money (and is most definitely NOT a scam). BestMark runs mystery shops in the USA and in Canada and they pay cash (not gift cards or points) in exchange for you doing either an in person or over the phone “shop” and then filling out the survey that goes with it. Last year I got a free oil change AND I got paid for having the oil change done. I mention that one because I actually made more than I would have for the same amount of time at my day job. 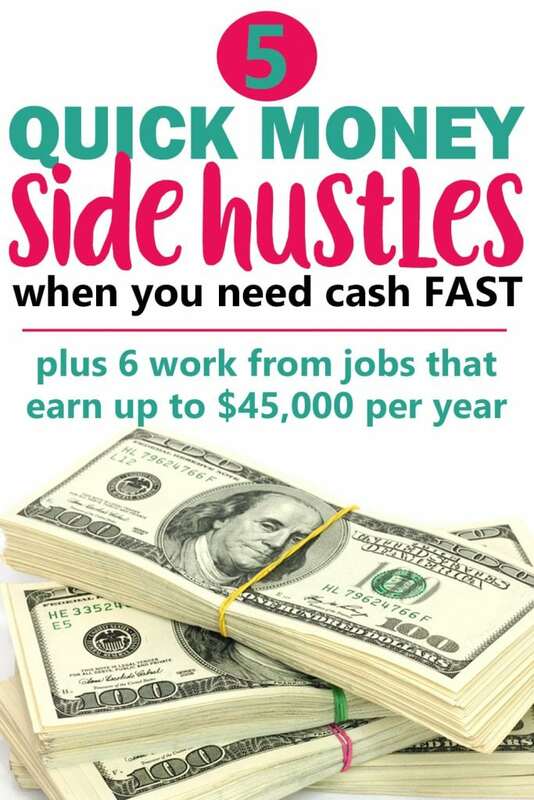 You can also make 5 minute phone calls and earn $5-15, which can really add up – without ever leaving your home. Bonus, once you are singed up and have applied for a shop, you have an actual human to contact at BestMark when you have questions. They give you a referral link and if you get your friends to sign up and do shops, you can earn money for referring them. Apply here to become a mystery shopper with BestMark. As a “side hustle”, yes. I have a desk job, but I also have a restaurant I used to work at that calls me when they need help. It’s difficult for small restaurants (and golf courses, cafes etc) to keep a full time staff that would be sufficient for special occasions like Mother’s Day and Valentine’s day. Most small restaurants are more than happy to have a list of qualified, willing people they can call when they are stuck on weekends and special occasions. The best part is that on top of the check they’ll write you, you usually take cash home with you THAT NIGHT. Talk about an immediate money maker! And it’s actually fun too, when you don’t do it every day. Whatever you love to do, there’s probably a way to make a little money at it. I love photography and took a night class on it after high school. I saved up and bought an amazing camera. Now I take wedding photos, grad photos, family portraits etc… and (again) I make more money doing that than I do at my day job. Maybe you love animals and want to walk dogs in the evening, or maybe you’re awesome at doing make-up and could be an artist for hire on Saturdays for weddings etc. Are you at home in the gym? Become a personal trainer. Whatever your hobby is, tackling it as a “side hustle” could actually turn it into a full time thing, and then you’ll always be doing what you love! 2 ) Sell a product that you actually love. The big problem with multi-level marketing? The reason so many people fail at it? Because they get into it to make money and try to sell absolute crap. Multi-level marketing works for me because I am with 2 companies that I LOVE and got into because I use the stuff, not because I was looking to make quick cash. When you actually love and use the thing you’re selling, it’s not really like selling. It’s like helping other people and telling them about a thing you love. I am a distributor for Young Living Oils, and this is my favorite company to work with because they don’t require you to sell a minimum amount of product to be a “distributor”. Once you are a distributor you can purchase your products at the wholesale rate (ummm the reason I became a distributor in the first place!) and you can receive all sorts of freebies (different ones every month) just for ordering. My friends know that I am a distributor and they actually ask ME when I will be placing an order, so they can get their order in. I have a close friend who has had amazing success (I’m talking free cruises and a car kind of success) selling Tupperware. Why? Because she loves Tupperware. Sell something you love, and it will be easy. Try to sell a bunch of diet pills you’ve never used? Failure waiting to happen. This is a 100% work from home job, and the average median annual income for a general transcriptionist is currently $45,000 USD. This is more than double what I made before in my crappy shift work jobs. Legal transcriptionists can earn around $60,000 USD — and that’s not even the tip of the iceberg for people willing to work hard. The instructor of the course Transcribe Anywhere , Janet Shaughnessy, has personally witnessed transcriptionists growing their businesses to six figures. I didn’t know THAT was possible when I was younger, or I’d be a transcriptionist now! Learn more about the Transcribe Anywhere course here. If you have a neutral English accent, a bachelor’s degree in anything, and have an interest in being a teacher – this could be a good fit for you. This job entails teaching English to young children in China, and usually pays pretty well. There are plenty of companies you can apply to. Apply to more than one to increase your chances of getting hired. Some of the most popular organizations include VIPKID, gogokid, HAWO, and EF Education First. The more people working online, the more people hiring other people to do work online for them. I’ve used a VA myself from time to time. I write almost all my blog posts at nap time. And I LOVE to write, so it doesn’t even feel like work. An easier way to guarantee that you get paid for writing, though, is to write for other people as a freelance writer. Ask yourself this question: Is this really worth my time? Clicking away at online surveys to gain 300 “points” towards my 10,000 “points” that will add up to 10 dollars some day might be fun, but if I need to pay a bill by Monday, it is not a good use of my time. Neither is slaving away at some hideous task that I can hardly wait to finish. I have family to spend time with, dishes to wash, laundry to put away. If I didn’t have those things, I would still have a body that needs exercise, a long bath to relax in, and a glass of wine that needs drinking while I watch the sunset. When you do side hustle, make it something that isn’t stressing you out, is worth real money and is not soul-sucking. Just saying. Make sure you’re not prioritizing having a little extra money over living your life. PreviousYes, YOU Should be blogging! 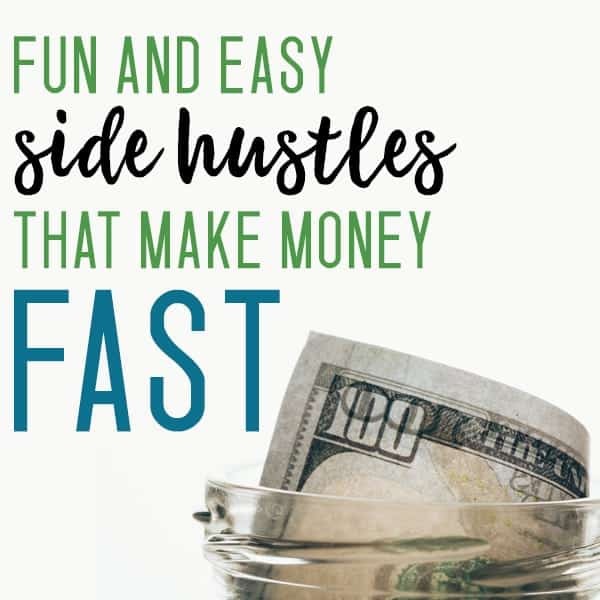 I despise the words Side Hustle as well (and moist) – it turns something that is tons of hard work seem cheap and tawdry… totally agree with that. Great article, thanks for the ideas! You are right, people who say you can make money from blogging right away, are just not being honest. It takes time to build an online business just like it would a brick and mortar store. 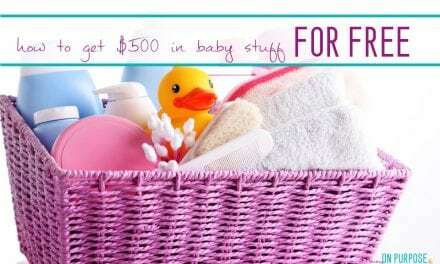 Your post has some great ideas to makes some side cash. I am glad you found my post helpful. I wish you the best! I had to chuckle when I saw this: There is an amazing course available to learn t proofreading. It’s ironic that there is a random t in this line, when you ate referring to proofreading. LOL I haven’t taken the proofreading course. too funny. I’ll have to fix that. Yoy and I have so much in common. I just thought it was funny that you made the exact same mistake. This is such a practical list. I too hate it when I see blogs and surveys as recommendations to make money quickly. Your recommendations are much more realistic! It’s very true. 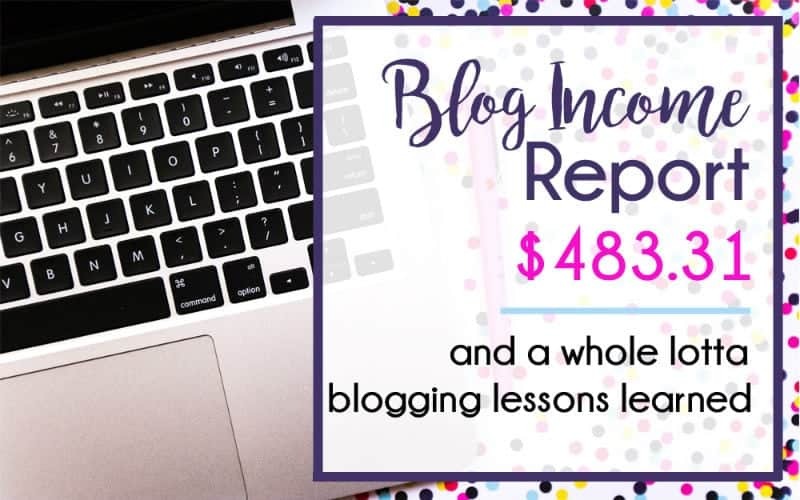 Blogging is a slooooow burn and there is NOTHING quick about making money with one! I wish you the best. Thanks for the honest post! 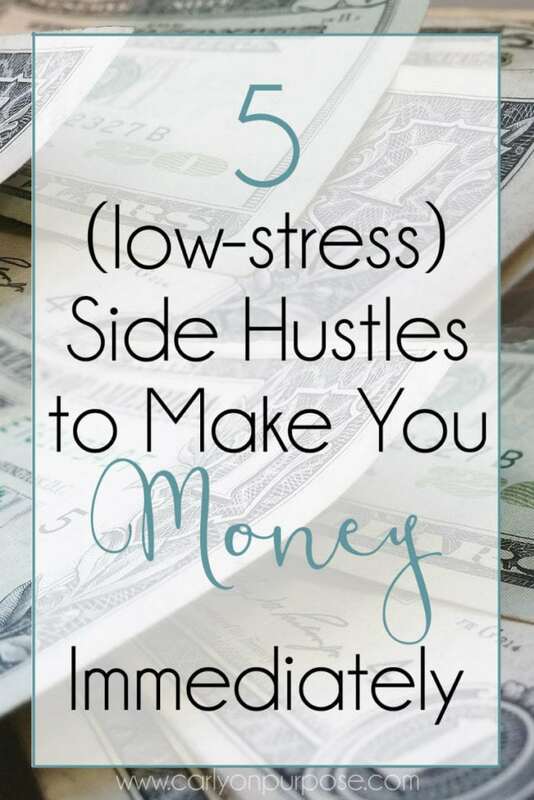 I have hated the term ‘side hustle’ from the first time I saw it in a post that was informing me how I could make extra money completing surveys and that I would be the most productive applying for as many as I could, etc. I happen to enjoy a well designed survey but there is no way to make a lot of extra money doing them. Lol (well, I suppose if you were to be constantly doing survey after survey from the moment you open your eyes in the morning until you sleep and dislodge the mouse from your hand that night, you could). I am often surprised at the way some people offer “helpful” posts (or are they articles) about the different online work opportunities. So it was nice and refreshing to have information that was presented in a nice ‘here’s the way it is’ way. (Pardon my grammar, need more coffee still, lol. I actually look forward to reading more of your, let me call them jewels of information! Thank you for the kind words! I agree that surveys are NOT a great way to make some real cash – and it’s a lot of work! And no worries – we ALL need more coffee!!! I love this list! I have another one for you to add; There is a website called openlittermap.com that gives you ‘littercoin’ for taking pictures(and thus collecting data) of any litter you see around your area. Littercoin basically works like swagbucks or any other money making app where you can exchange the coins for PayPal! Help the world know about litter AND get paid! I love your ideas! How do I actually get started doing them? I would like to try house sitting or sewing but am not sure how to find clients. Marcia, thanks for the kind words! As far as clients – I think Facebook groups can be a great place to start advertising your services. Find a group of moms in your area and start engaging with them. Once you build a relationship you can find ways to advertise your services. Good luck!